Every after picture reflects a pursuit of perfection. 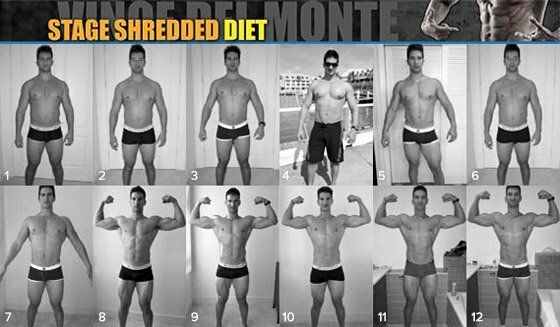 Vince Del Monte reveals what it took to perfect his own physique. "Having a lean, strong, and healthy body is also dependent on the price you're willing to pay." Every achievement comes at a price. The cost of earning a master's degree—aside from the actual money—is countless hours of study, coupled with a pretty lame social life. Mending a broken relationship requires you to swallow your pride and stay brave and clear-headed through long, intense discussions. Your new home could bring longer hours at work, a tighter budget, and fewer vacations. Having a lean, strong, and healthy body is also dependent on the price you're willing to pay. There's a whole industry that wants to think the price is simply what they charge for their revolutionary exercise equipment, magical shakes, or superhuman bars. Anyone who has ever gotten into extreme shape knows it takes far more than that. "Perfecting" your physique to look like an ad demands an unyielding training regimen, strict dietary guidelines, an investment of time and possibly money, and a focused overhaul of your lifestyle. The above photo was taken 24 hours after I competed in the 2011 Fitness Atlantic Championships. You may or may not want to know just what it took me to achieve this condition. Can you handle the real story? Here's the truth behind this picture. 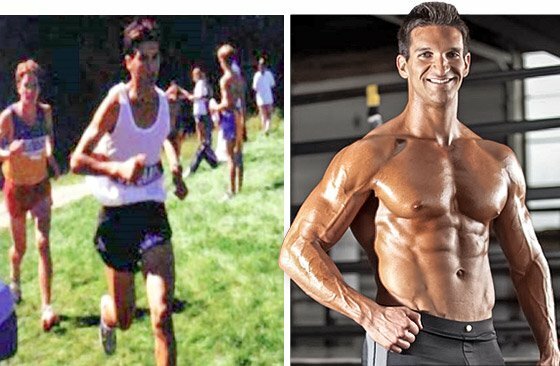 To achieve an extreme level of conditioning, I began weight training seriously at the age of 22 and have continued to lift consistently for the past nine years. If you assume I have weight-trained, on average, five hours per week over that time, along with two hours of cardio and another two hours of stretching each week—all very conservative estimates—I've already invested 4,212 hours into my body. I'm sure it's actually far more. No special workout, diet, or supplement can override the need for time. Even if everything you're doing is spot-on, your biggest limiting factor in achieving the body you desire is finding the hours. Over those 4,212 hours, I was able to take my scrawny 149-pound body to a muscular 227 pounds, but not without gaining a lot of fat in the process. I probably could have arrived at my destination in half the time with some pharmaceutical "assistance," but I chose not to. This isn't to say I didn't make mistakes. I conducted dozens of self-experiments with virtually every "get big" workout in the book, every diet method, and boatloads of supplements. I've learned by doing and testing, not just talking and debating. "No special workout, diet, or supplement can override the need for time." Somewhere over the course of those years, I just started to get it—I developed the frame of reference to make smarter decisions. Everyone will need a different number of hours—and of mistakes—to gain their own perspective. Some never will. Another misconception about many fitness models is that we stay in extreme shape all the time. Maybe one percent does, and that group doesn't include me. I'm not willing to pay the price to maintain 4-6 percent body fat all year round. Why? For starters, I'm Italian, and I like my pasta and meatballs too much. Plus, I'm a married man, and my wife and I enjoy multicourse dinners at new restaurants. It's our thing. I'm the guy who orders a cocktail, appetizer, bottle of wine, a main course, and dessert. I don't mess around when I eat out, and I'm fully aware that I can't enjoy this kind of lifestyle on a regular basis and flaunt bullet-proof abs at the same time. For me, maintaining 10-12 percent body fat gives me flexibility to introduce more calories so I can build muscle. The funny thing about photos is that they never change, whereas the bodies being photographed do. If you're going to emulate your idols, you should know how they came to arrive at that perfect shape. For my part, I wouldn't consider it healthy—physically or mentally—for anyone to stay in extreme condition all the time. I love this bodybuilding quote: "You can't sculpt a pebble." What it means is that you need to pack on a lot of mass before you begin to chip away to reveal the Greek god hidden underneath. Bulking up requires you to let go of your obsession with always having show-off abs. Most fitness models whine and complain that they can't get bigger, but it's because keeping their abs is the top priority. The truth is, it's virtually impossible to gain muscle size if you make the choice to stay lean all the time. But no, there is nothing wrong with that decision. It's fairly easy to get ripped for a show; it's far harder to get bigger and ripped for a show. In the case of my photo, I knew I needed to overshoot my "ripped" weight by about 25 pounds so I could cut down and come in more muscular. This meant daily cheat meals, which I loved. It also meant my waistline bulked up from 33 inches to 39 inches—and no more striptease requests from the wifey! "you need to pack on a lot of mass before you begin to chip away to reveal the greek god hidden underneath." I teach my students to live within the moment. When you're bulking, do it like your life depends on it. When you're cutting, do it like your life depends on it. And understand that both can get beyond the point of being "fun" pretty quickly, so keep the faith. I'm okay losing my abs for a period of time, because I know when I strip off the fat I'll reveal a completely new and different physique. Also, don't forget that most professional fitness models come from a bodybuilding background. They have years of bulking behind them, and building muscle is no longer their priority. They're done with those days. Now, it's all about knowing how to get lean, mean, and photo-shoot ready when required. First off, I didn't use any fancy calorie or carb-cycling methods—no fast days, no cheat days, and no carb back-loading. For the four months leading up to the picture, my diet was strict, and every day was structured around food. I established a regular meal cadence, eating every three hours. I ate six different protein sources per day (sirloin, whole eggs, white fish, turkey, chicken, protein powder), four different carb sources (brown rice, Ezekiel cereal, quinoa, yams), two different fat sources (avocados, mixed nuts), and consumed vegetables with every meal. 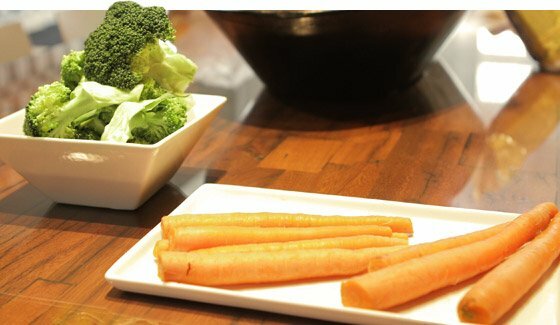 This diet easily ran upward of $250 a week, and many times I would leave the grocery store thinking to myself, Are you crazy? All this just so you can get your silly pro card?" "My diet was strict, and every day was structured around food." On top of the diet, I extended my arsenal of supplements upon my coach's recommendations. I decided to throw the entire enchilada at my body, so I turned my condo into a supplement store. I used a wide variety of supplements including L-carnitine, fish oil, vitamin E, vitamin C, vitamin D, magnesium, zinc, probiotics, glutamine, BCAAs, and phosphotidyserine. That was easily another $200 per month. Heck, between my grocery and supplement bills, I could have been leasing my dream car—a Maserati GranTurismo, in case you were wondering. Over 17 weeks, my coach and I tapered my calories down in small increments. We never went zero-carb, zero-fat, or anything extreme like that. We simply coaxed the fat off, two pounds every week, by staying in a slight caloric deficit. The bulk of the fat loss came from training. My coach and I made outcome-based decisions according to how I was looking and how I was feeling on a week-to-week basis, so I can't share any special formula. I believe in burning the fat off, not starving the fat off—we saved that for the final week or two. For the bulk of the transformation, I trained twice per day, five times per week. I would almost always take Thursday and Sunday off. Out of personal preference, I performed a mixture of slow-go cardio and high-intensity cardio, anywhere from 20-60 minutes per session (thinking back, I probably did too much cardio), followed by 15-30 minutes of abs and stretching. Every night, I went to bed at 10:30 p.m., which is pretty early for me. Being self-employed, I work from home and have usually found my most productive work time between 10 p.m. and 2 a.m., but work was no longer an option; sleep became the priority. This is a sacrifice many entrepreneurs can relate to. On the flipside, going to bed early forced me to structure my day more wisely and manage my energy more efficiently. Every morning, I rose at 6 a.m. to the sound of my increasingly annoying iPhone alarm. As my calories dropped lower and I got closer to show time, my body woke me up even earlier to the growling sounds of my stomach. The final four weeks were physically and mentally tough, but that was also about the time I started to see those abs popping out again, so I had proof that the sacrifices were worth it. My wife and I live in Tampa, Florida, during the winters—we can't handle the Canadian winters anymore—and we treat our trips like a boot camp. We take advantage of the warm weather and do a lot of our cardio in the morning along the beautiful Bayshore. 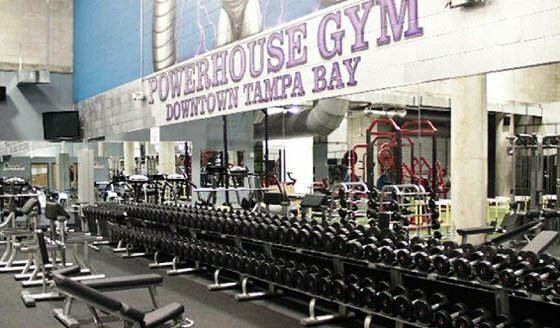 We rent a condo just a three-minute walk away from Downtown Powerhouse Gym, which is one of the best gyms in the country, in my opinion. "Powerhouse is stacked with celebrities and professional athletes whose incredible bodies and work ethics keep me motivated." What makes it so great? It's more than just the weights they have, especially when you're spending as much time at the gym as I was. Powerhouse is stacked with celebrities and professional athletes whose incredible bodies and work ethics kept me motivated through every single workout. Of course, I know you can get results in any gym, but I felt like this gym gave me a personal edge in my workouts, especially in Tampa, where hot people abound. The yearlong warm weather definitely helps motivate everyone to stay in shape. For the first time in my life, I hired a coach. After researching all the top bodybuilding coaches in the game, I was most impressed with one man: IFBB Pro Bodybuilder Ben Pakulski, a fellow University of Western Ontario graduate. I reached out to Ben, paid his expensive 12-month coaching fees in full, and put my trust in his scientific approach. It wasn't easy for me, a published author of multiple books and programs, to hire a coach. I'm supposed to be an authority on muscle-building, right? How would my fans and readers respond? I doubt too many of them were turned off by it. And on my end, a coach was a godsend. I learned more in four months from Ben than I had in the previous four years on my own. I was also blessed to have my wife by my side the entire prep. I can't imagine getting ready for a show with a non-supportive partner. While I was dieting, guess what she did? She dieted too and got ready for a photo shoot of her own. She made sure I was measuring my food. She yelled at me when I would wake up in the middle of the night for peanut butter. When I showed hesitation, she was the one who declined the wine menu—yes, we still went out for dinner, but no cocktail, appetizer, vino, or dessert. Staying motivated over the long haul takes more than a decision and a gym full of hot bods. To ensure I got where I wanted to go, I added plenty of professional and social consequences to the mix. When I decided to get my IFBB pro card, I announced it to my thousands of fans on Facebook, my thousands of YouTube subscribers, and more than one hundred thousand people on my private newsletter list. 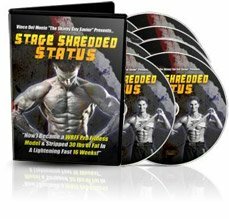 I also documented my entire transformation on video in order to turn it into a DVD series called Stage Shredded Status (which you can order from my website), so I had serious financial motivation, too. Even with these pressures moving me forward, there were plenty of times I doubted my progress. No matter how strong you are, it's impossible to keep the questions from bouncing around in your head. Am I going to be ripped enough? What if I don't get my pro card? Am I going to end up losing muscle? Is all this physical punishment and dieting really worth it? Ultimately, I did end up earning my pro card, and a major part of that was because I created a situation where I simply couldn't fail. When your money and your credibility are on the line, there's no going back. To top it off, I also invested in a professional photographer who shot more than 800 images to capture the one you see above. I wouldn't doubt that some digital retouching was applied to fix some of my cosmetic flaws—and that was after my body was already water-depleted and carb-loaded (two sneaky maneuvers we fitness models know). There's a reason fitness models and bodybuilders schedule their photo shoots immediately after competitions. This is the best way to ensure they are in extreme shape after months of dieting, intense training, tanning, posing practice, diuretics, and other photo-enhancing strategies. Remember, this kind of shape is temporary, so it's crucial to milk these contests for all they're worth. I line up two or three photo shoots after a show so I can stockpile the pictures. Heck, magazines are still using the same old images of Arnold from the 1970s to sell their techniques! It's perfectly normal to get motivated by the incredible physiques of the health and fitness industry, but understand that "perfection" doesn't exist for them any more than it does for you. Rather than being discouraged, you should be both empowered and encouraged by what I've shared. Once you accept the truth of what it really takes, you can shift your focus from trying to look like someone else to becoming your best self. You can focus your energy on achieving realistic goals you can be proud of. What happens next is an incredible journey that is different for everyone. In his long and illustrious bodybuilding career Jay Cutler has seen and done it all. The four-time Mr. Olympia gives us a frank assessment of what got him here and what lies ahead. Every month, academic journals publish dozens of new studies about training, nutrition, and athletic performance. We read the research and zero in on the take-home lessons so you don't have to!